When photographer Ericka McConnell returned to her native California from New York two years ago, she missed the openness of her family’s former loft back East. 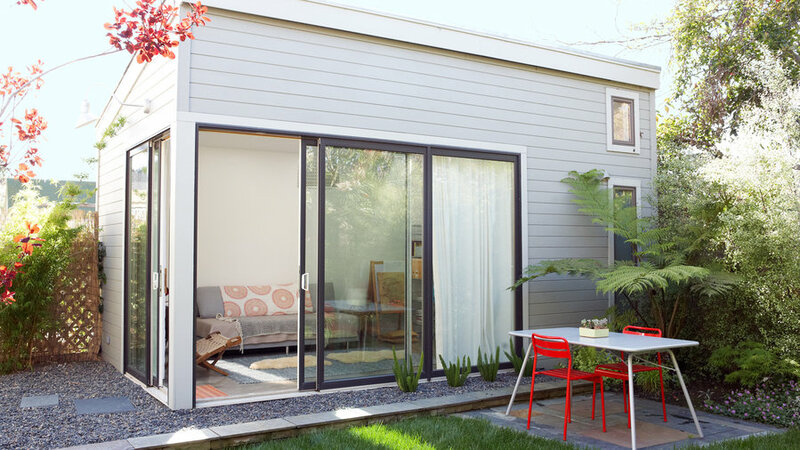 The ground floor of the once single-story house—where she and her husband live with their daughter, Flora—is now essentially one combined kitchen, dining area, living space, and home office, with bedrooms in an upstairs addition. 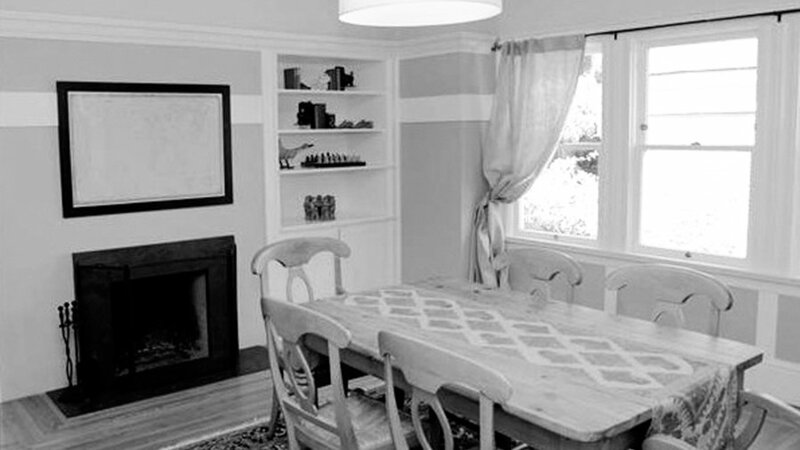 Next, see the dining room before the remodel. McConnel boldly banished many interior walls of her 1900s Oakland Craftsman. 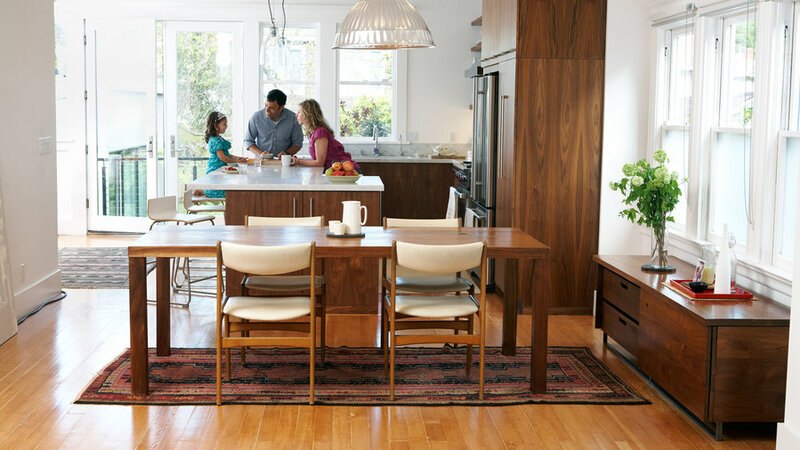 Now this dining room space is part of a combined kitchen, dining area, living space, and home office (previous page). 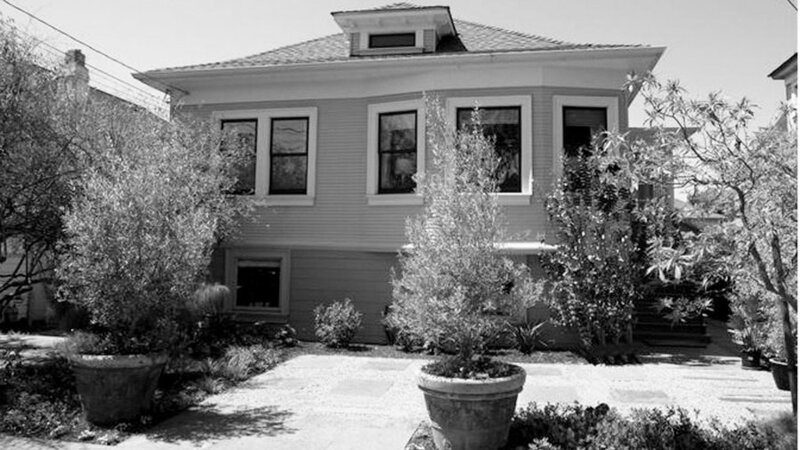 The family decided to build a second story to the home while maintaining the architectural style of the neighborhood. 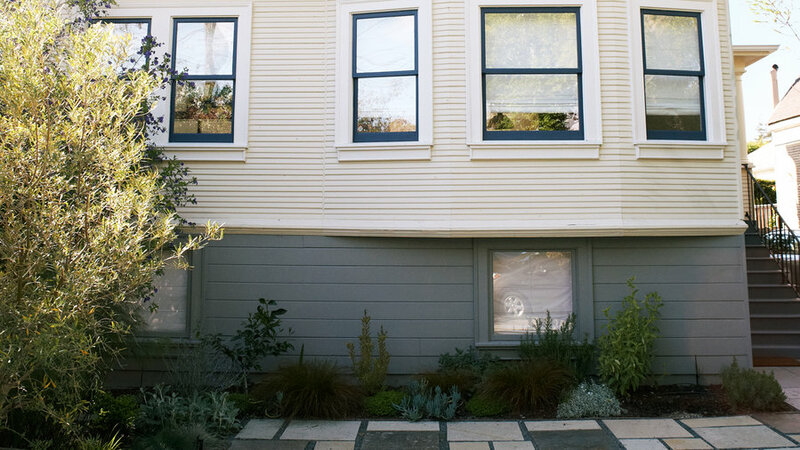 “We didn’t want to be a crazy modern house in a traditional-looking area,” she says. With the addition of a story, the home now has space for two bedrooms, a bath, and a playroom upstairs. 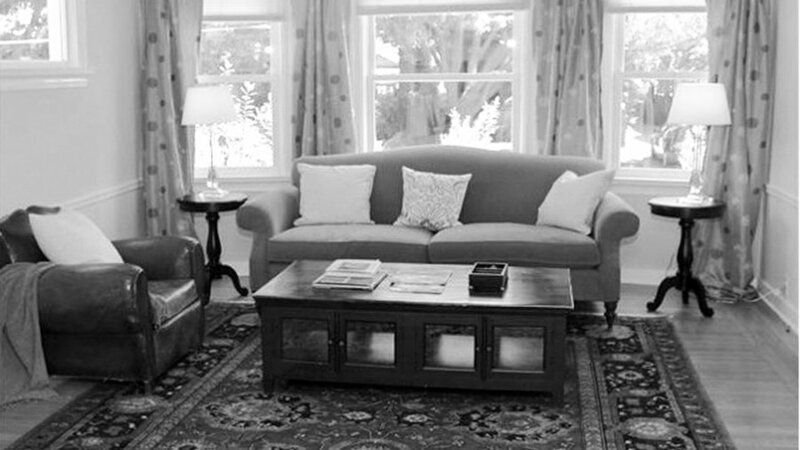 The Douglas fir subflooring was uncovered during the remodel and refinished. “I love its character and sense of history,” says McConnell. 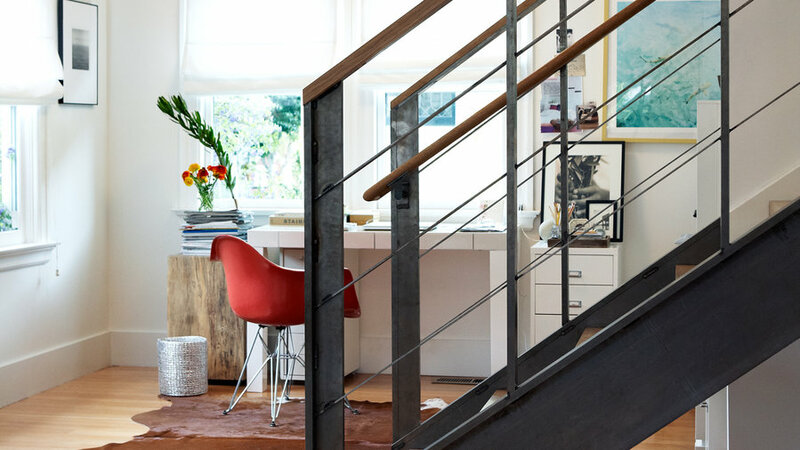 “The idea of new flooring felt too uniform.” The steel staircase is new, of course, but it has a weathered, industrial look. 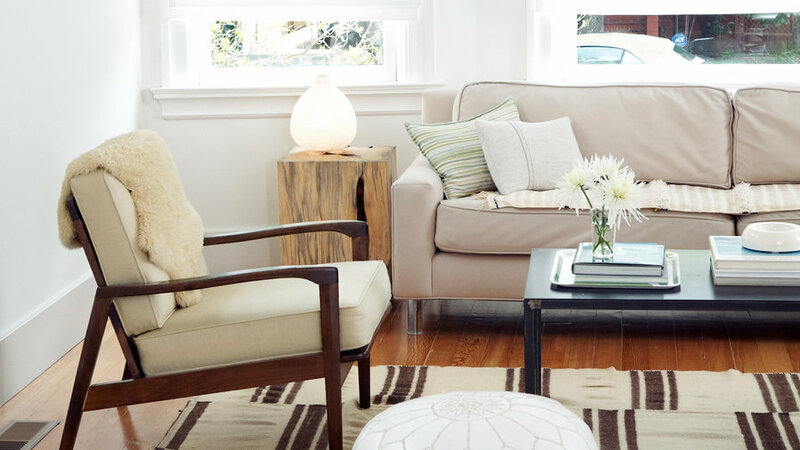 Filmy white shades diffuse sunlight through the sitting area—helped by pale fabrics and rugs. 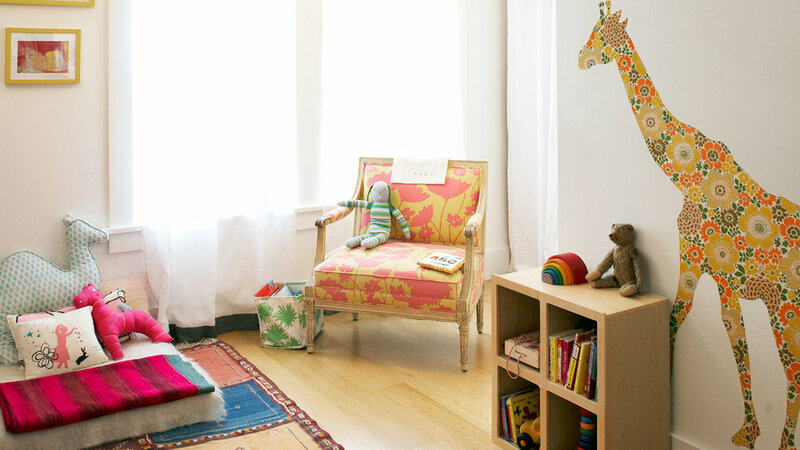 In addition to the second floor’s two bed­rooms, a third area serves as Flora’s playroom. “I’ve never had an extra room. It feels so luxurious,” says McConnell, who imagines turning it into a library or painting studio someday.